I'm not sure what German Shepherd this guy is training (check out the pants), but I'm suiting up for the Football Outsiders' team to write a pro prospect analysis column on Saturdays. 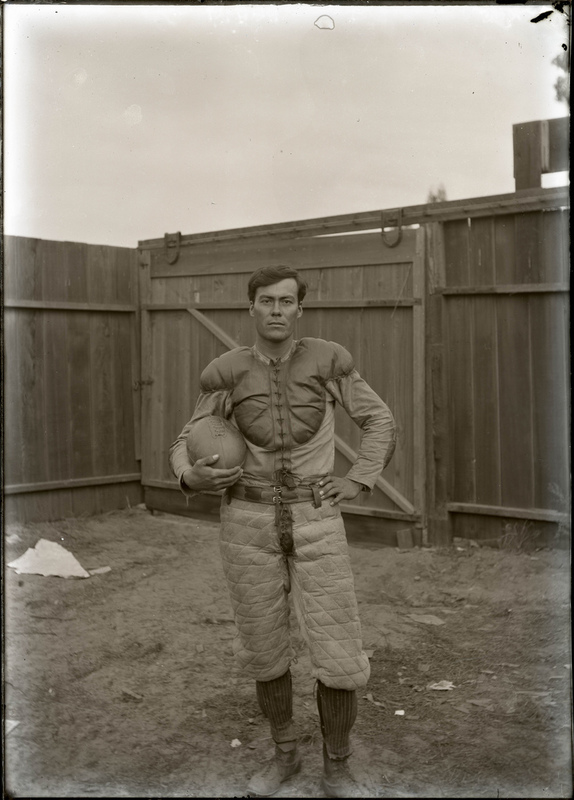 Photo from Claremont Colleges Digital Library. I’m pleased to announce that I will be joining Football Outsiders to pen analysis on pro prospects. My weekly column will be published on Saturdays beginning this fall until the NFL Draft. I will provide player/game analysis of high-performing college players, including non-skill positions on both sides of the ball. I’m excited become a part of another great team of writers on the Internet, but nothing else is changing. You can still find me writing fantasy football-related content at Footballguys.com and maintaining this blog. Football Outsiders is an additional opportunity to write about what I study. I want to thank all of you who read and recommend my work on a regular basis. You’re a great audience and I appreciate the opportunities you have helped to provide. I’m still thinking of a name for the column so if you have suggestions, I’m all ears. Congrats, Matt! Another great forum for your work. Well done and well deserved. I’ve always enjoyed reading your insightful writing. Glad to see you are getting recognized! Now the real challenge is to see if your scouting skills can be used in their Fantasy Loser League.